Here are some tips on what to do during the month of August. Even though growing season is tapering off, it’s important to fertilize trees, shrubs, and perennials one last time before fall. Fertilize by the middle of the month because waiting until September could force new growth in the plants just in time for it to be blasted by first frosts (usually any time between September 15 and October 15). Idea: Try foliar feeding—feeding plants through the tiny stomata or pores in their leaves. This is a great way to ensure that they get all the nutriments they need to produce their best. Mix a water-soluble plant food according to the directions on the label and apply throughly drench all of the leaves and stems. Options are to trickle the fertilizer mix onto the plant with a regular watering can, use a hose-end sprayer, or use a hand-held pump sprayer. Apply the fertilizer until it drips off the leaves. Pour any left over diluted fertilizer onto the ground around the plant. IMPORTANT: Apply foliar fertilizer spray only in the cool of the day, ideally before 10 a.m. There are two reasons for this: 1) many plants’ stomata close around this time 2) applying fertilizer, particularly high phosphorus fertilizer, in the heat of the day can result in fertilizer burned leaves and stems. 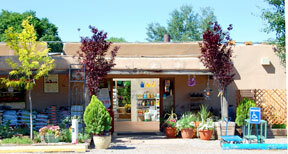 Come in to either Payne’s store to get the right fertilizer for your plants. Check the depth of the mulch around trees, flower beds, etc. It should have decomposed down sufficiently to require another couple of inches spread on top of it. Three to four inches is the optimum for protecting root-systems from excessive temperature fluctuations and and water loss. Remember not to let mulch push up against trunks and plant-stems — that encourages fungus disease . Keep deadheading annuals until first frost! That means removing the fading flowers before the seed development can trigger an end to the plants’ bloom cycle. Why? Annuals complete their life-cycles within one year with the goal of setting seed for next year’s generation of flowers. If you want some of the flowers to produce seed, leave them on the plant for next year’s crop. Fertilize annuals regularly with a high-phosphorus plant food so they keep flowering profusely. Taller zinnia, African marigold, and snapdragon strains provide lots of flowers for cutting this month, and dahlias start to pump out their blooms. Indian blanket (Gaillardia) and coreopsis will continue to flower if deadheaded so they don’t go to seed. Consider sowing the seeds of cool-weather annuals such as lobelias, fragrant mignonette, night-scented stock, and sweet alyssum. Feed the dahlias! For bigger blooms, remove all but the main bud in each cluster. Stake the tall ones so they aren’t blown over by monsoon winds and rains. Continue to plant shrubs and trees this month. Remember to do it in the cool of the day if at all possible, and to water them in thoroughly. Despite the monsoons, shrubs, trees, and vines will continue to need regular deep watering (2 inches a week in hot weather). Plants in hanging baskets, windowboxes, and other containers still need regular watering ― usually daily ― even during the monsoons. Tip: before turning a hose on any plants, be sure to run out all the hot water to keep from scalding the plants! To avoid wasting water, run it into a large container, then use it after it cools down. As tomatoes, peppers, eggplants, cucumbers and summer squashes come fully into their own, watch for tomato hornworms, squash bugs, and cucumber beetles. Both of our retail stores have a great selection of organic pest controls, including Nolo™ bait to deal with grasshoppers. Plant seeds for fall and winter vegetables this month, Consider radishes, lettuce, early-green maturing varieties of beets, carrots, peas (shelling, snow, and snap), and spinach. Fresh seeds are always available at Payne’s!Also, buy “starts” of ornamental kale and cabbage and pansies and johnny jump ups to brighten your veggie garden. These colorful plants are also edible! Remember to keep the seedbed and babies moist. It’s very important not let them dry out. Meanwhile, in Payne’s greenhouses, fall chrysanthemums are in bud and will soon be ready for autumn color bowls. Believe it or not, we’ve already planted baby poinsettias for our holiday crop. TIP: For best selection, reserve poinsettias now through October 31st. Call either Payne’s location today!